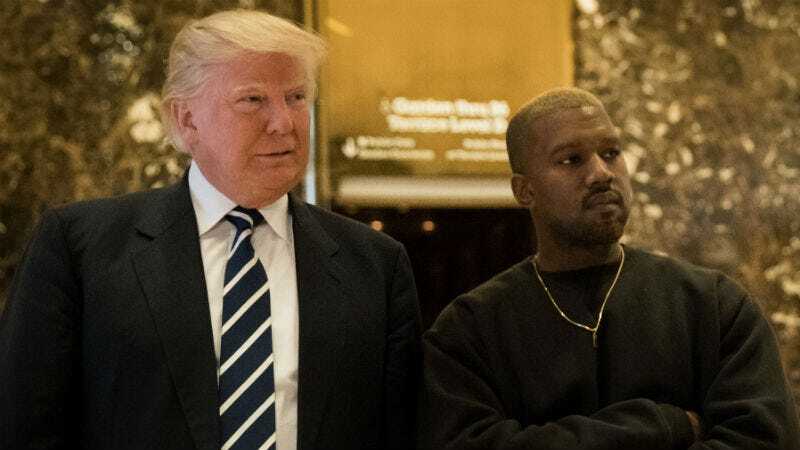 With his return to Twitter, Kanye West has re-established himself as the perfect vessel for fake deep right wing shilldom, and many of his fans have run out of excuses for him. To make matters worse, West’s ramblings aren’t just reserved for social media. New York radio personality Ebro Darden, from Hot 97's morning show, claims he had a 30-minute conversation with West over the weekend about his controversial tweets, and it was as much of a mess as you might imagine. Throughout the conversation, according to Darden (see the video below), West talked about wanting to deprogram people and said his appreciation of conservative provocateur Candace Owens was due to the way she “challenges conventional black thought.” Owens is best known for having a career that relies on the ethos “I’m not like other black women” and calling Black Lives Matter activists whiners. Today alone, West tweeted multiple videos of his own computer screen as he watched Scott Adams—Dilbert creator, Trump stan, men’s rights activist, and prick—marvel at the ways in which West is helping people break out of their mental prisons. To top it all off, Ivanka Trump is following West on Twitter (it’s unclear when that started), and Donald Trump Jr. has been liking West’s recent tweets. Cool. It’s clear that West’s tweets are a publicity stunt, but at this point it’s naive to believe it’s nothing more than that. Kanye is perfectly capable of having trash politics and trolling for album promo at the same time. While there is no audio of the conversation to confirm Darden’s claims, Darden’s paraphrasing cements much of what we’ve deduced about West since his infamous photo op with Trump in December 2016: He’s like the guy who thinks that saying “just to play devil’s advocate here” means that something of value will follow. Longtime fans may view West’s new alliances with abject horror, but at least West can turn to his new fans for support: Red pill-ers, MRA weirdos, Turning Point USA nerds, and the Trump clan.